Retailers are finding it more challenging to recruit and retain the right people as customers move to online shopping and retail careers appear less appealing to school leavers and graduates. 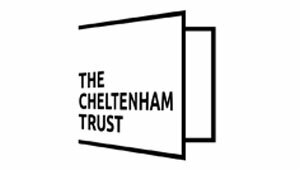 Cheltenham BID is keen to support retailers through this period of change and wants to help with the recruitment of employees for retailers; large and small, national and independent. Working with Cheltenham Borough Council and the Job Centre, the BID has arranged a Retail Recruitment Fair. The event will be held on July 5 at the Municipal Building on The Promenade in Cheltenham. Open to potential candidates from 11am until 2pm, job seekers will have the opportunity to show some of Cheltenham’s best-known retailers what they have to offer. Whether candidates are looking at coming into retail for the first time or seeking an opportunity to progress their career, they will be able to discuss their prospects with potential employers. Representative from the Job Centre will be on hand to provide advice on building your CV and improving your interview techniques. Some of the businesses attending include House of Fraser, John Lewis, Argos, M & S Topshop and Specsavers. Businesses from Regent Arcade will also be represented.